Every great story starts with pain and failures. Today may be hard for us. The condition will be most exceedingly terrible tomorrow, but a day after tomorrow will be daylight. Sometimes embarrassment freezes us. We may face rejection that is going to discourages us. In spite of failures, a man can be as great as he wants to be. If we believe in our self and have the courage, the determination, the dedication, and the competitive drive and if we are willing to sacrifice the little things in life and pay the price for the things that are worthwhile, it can be done. Instead of being allowed to do absolutely nothing, you have to address so many issues, duties, and responsibilities that it’s impossible to know where to start. We all are struggling to get a job done. In the success journey, there will be peaks and valleys and long, endless stretches of sunshine to travel down on the road ahead. And any dirt that is sticking to your shoes will fall off along the way. We perceive the arrival of problems as a reason to cease and desist what we’re doing. 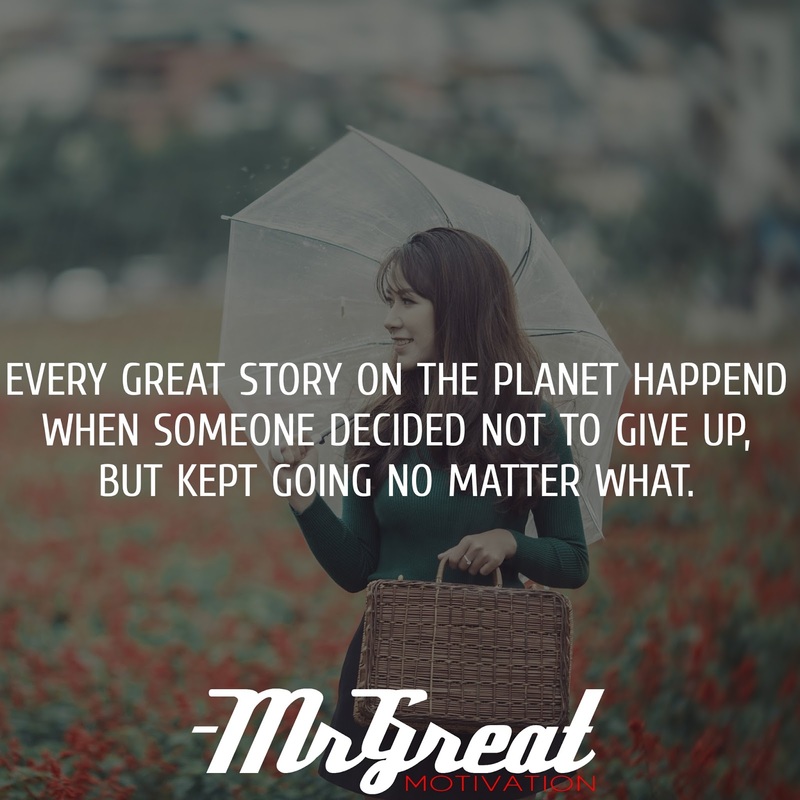 We see them as a sign to stop moving only our willingness not to give up no matter what will bring us one step closer towards the accomplishment of your dreams. 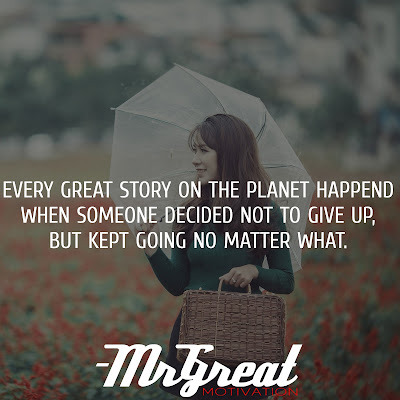 So don’t let yourself ever give up. Keep hanging on and keep going.